Did you get a chance to read the recent post about a series of yeses? If not, take a moment to do so. It will set the context for this article. 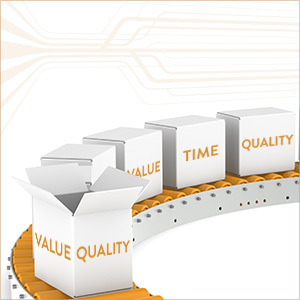 Manufacturing companies "get" the concept of process improvement. Many apply it consistently to their manufacturing operations, and some extend it to other functional areas. LEAN is a business buzzword. But scale isn't often discussed in the context of B2B revenue growth, business development and sales growth. SaaS companies may grow at 300%/year or more and challenges such as finding enough developers and flexible office space are pressing...but manufacturers, in contrast, grow at 5-15%/year. Manufacturing floor space, working capital and customer service bandwidth can all be managed as needed at that modest rate of growth. When companies start to talk about expanding into international markets, or developing a B2B marketing plan to leverage digital marketing opportunities, planning for scale is important. It may feel a bit premature or optimistic, but if a company manages to increase it's qualified lead flow by a factor of 10x (not unlikely) in short order, then the "we'll have no problem dealing with that" bravado quickly fades. Similarly a company which gains traction quickly in a new international market could easily see 10% growth just from that market. They're good problems to have, as the saying goes, but they're also problems that should be anticipated and planned for. The bottom line is that any conversation around revenue growth needs to realistically consider ability to scale. A bit fanciful you're thinking? I'd argue not - at least if you actually leverage tools available for growth today. (Although I'd agree that it's silly if instead you persist in trying to grow using stale, traditional approaches! And keep in mind that there are intermediate business functions which you would need to scale long before you worry about more pallets of product leaving your shipping dock. One that companies encounter pretty quickly after launching a strategic B2B inbound marketing initiative is the ability to manage a rapidly increasing flow of leads. They're challenged by this for two reasons. First, the simple volume. Even going from 2 leads a day to 10 or 20 (a relatively small absolute increase) involves several additional hours of follow up. Second, the incoming leads tend to either be very early stage or quite urgent. The urgent ones require in depth sales conversations, proposals, etc. The early stage leads, though, are quite different. Those leads are not interested in speaking to a sales rep. They're somewhere in the first 10-30% of their buying journey - well before the 70% point when folks are generally prepared to speak to a rep. They don't really know yet if your product is a fit - in fact they're not even really interested in your product, rather they became a lead when they converted on an offer you have for some industry insight. As a thought leader you'll find folks eager to learn from you - long before they're interested in buying from you. So that creates a challenge. This raft of new leads aren't appropriate for your reps to call (they don't want to talk to them yet anyway!) but they represent a business asset. Those are likely next quarter's, or next year's (depending on your typical sell cycle) customers....if you manage them properly. This is where automation helps. Just as manufacturing automation boosts productivity, similarly marketing automation allows you to nurture thousands of leads (if you're lucky enough) with very little additional work. Marketing automation, therefore, is the key to scaling delivery against your B2B marketing plan. You simply design into your automation a gradual process to nurturing early stage leads by providing an consistent stream of edcuational information that helps to move them along their buying journey. It may even help them envision how that buying decision should optimally be made. You can build ladder logic into your automation, and even automatically deliver different information depending on how prospects react to what you've already sent - without a rep ever getting involved. It allows you to create the 'series of yeses' so important to sales process momentum, and to do so virtually with buyers who want to be left alone. When marketing automation is properly incorporated into a B2B marketing plan not only does it allow you to scale lead generation and lead management very efficiently but it offers a huge additional value. Many leads which would be turned off by direct sales follow up, or left to wither without consistent, appropriate nurturing, will be proactively developed into valuable likely customers. It's a win/win/win. Your company increases the leads your generating. Your sales team concentrates on those that are late stage. Your leads appreciate the ongoing resources you provide and the fact that you don't hammer them. And the net result is that early stage leads which are properly nurtured close at a much higher rate. After all these are leads which you've cultivated and guided through their whole process of consideration and comparison. Your competitors, if they even "get a shot" in the end, are horribly disadvantaged. You've created an advisory relationship with leads through the nurturing process. Marketing automation has its critics. Some argue that it's too complicated. 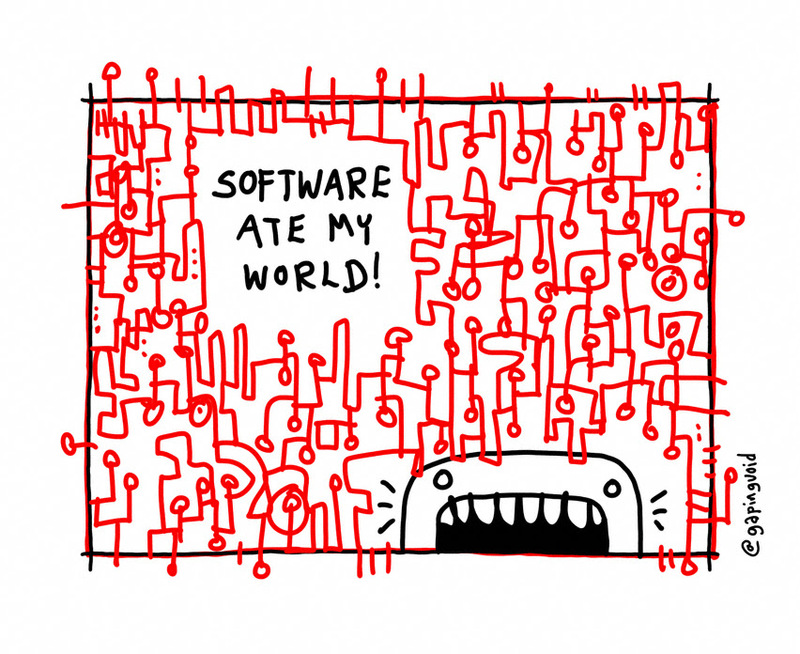 Others that it's only software and is too often thought of as a 'solution' rather than an enabler. It is no panacea and it isn't 'marketing in a box.' But if it's incorporated as an integral element of a well synthesized B2B marketing plan it provides a better experience for leads, ensures that leads are nurtured as the valuable business asset they are, and allows companies to scale lead gen without adding staff. Of course sometimes the critics are those who fear the consequences....who do you know that might be worried that great lead gen and follow up could be largely automated? There's little doubt that "sales & marketing" org charts and budgets will be shifting dramatically over the next few years. Marketers focused on design and average sales people are both threatened with extinction! Really successful lead generation and management require a grasp of the complexity of today's markets. You might be interested in downloading our free whitepaper on the difference between 'complicated' operations & 'complex' revenue growth.